The first thing you will want to do after an accident is to take some deep breaths, try to relax yourself and stay calm. Your reactions can influence other’s reactions and could escalate an already stressful situation. Someone needs to be able to take charge in order to make sure everyone is okay, get emergency vehicles on their way if need be and to get a general assessment of the damage done. If you have a camera, you’ll want to get pictures of the accident location, the damage done and the disposition of the vehicles involved. Next you will want to file an accident report with the local police department. Different states have different damage level requirements for police reports. If you are in doubt, file a police report; don’t leave the accident scene without having given police a full report. Do not discuss the accident with anyone but the police at the scene, when you are talking to the police, do not admit to any fault or liability, only the facts of the accident itself as they happened. 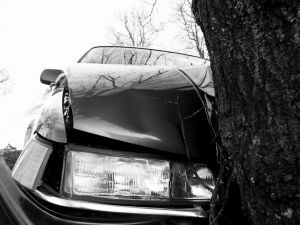 In an accident, you are likely to be somewhat shook up, you may not remember things in order or correctly, police are trained to be able to deduce the course of the accident by investigation. Acquire the name, address, and phone number of everyone of everyone involved in the accident; also get the full insurance information of the driver of the other vehicle. If you are a passenger in either vehicle, you will want the full information on both drivers in case you suffered injury. Call your agent immediately and give them all the information you collected. By doing this you may save valuable time in processing your claim.